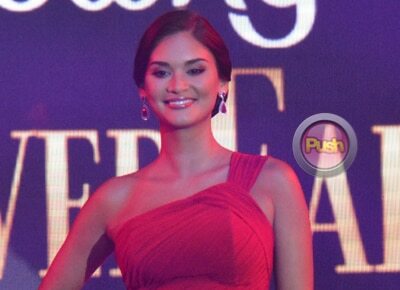 Pia Wurtzbach airs her thoughts on the LGBT community in her article. Aside from pushing HIV awareness, Miss Universe 2015 Pia Wurtzbach has once again shown her support to the LGBT community. Pia, through an article she wrote and was published in TIME's Motto section last January 26, discussed how her faith intertwines with her strengthening support for the community. "The values instilled in me as a Christian have encouraged me to respect all beliefs and opinions," she said. "Growing up, my family taught me that to receive respect, you must first offer it." Pia recalled how being raised by a single mother in the province of Cagayan de Oro taught her to learn to appreciate diversity. "Growing up in such a diverse culture taught me the virtue of acceptance early in life and made me recognize that tolerance should be the norm, not the exception," she said. She added that the LGBT community made things possible for her as some of them paved the way to become who she is as a person. "Undoubtedly, there will continue to be times when my faith and secular opinions clash, but in those moments, I find comfort in an old saying: ‘Live and let live,'” she ended.